Getting out of London is always nice, and we had a lovely scenic drive to Hampshire to delivery this deep red cascade cake. 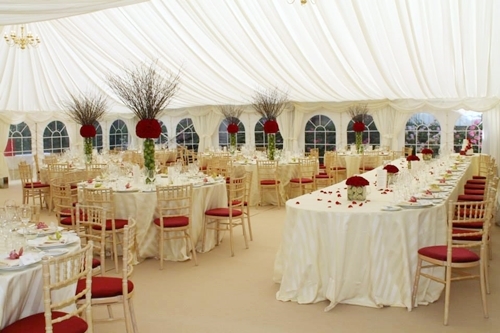 The dark red roses and orchids complimented the wedding decor and the little touches of piping were taken from the brides dress. Social Pantry were the caterers and did a beautiful job, these pictures are courtesy of them. 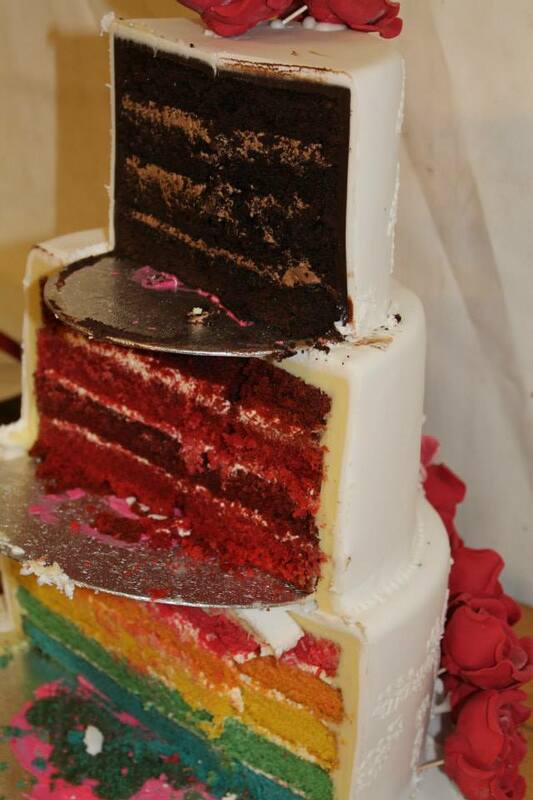 Gemma and Andrew chose double chocolate, red velvet and a fun rainbow tier. Here’s what it looked like once it was cut through. A nice surprise for their guests! 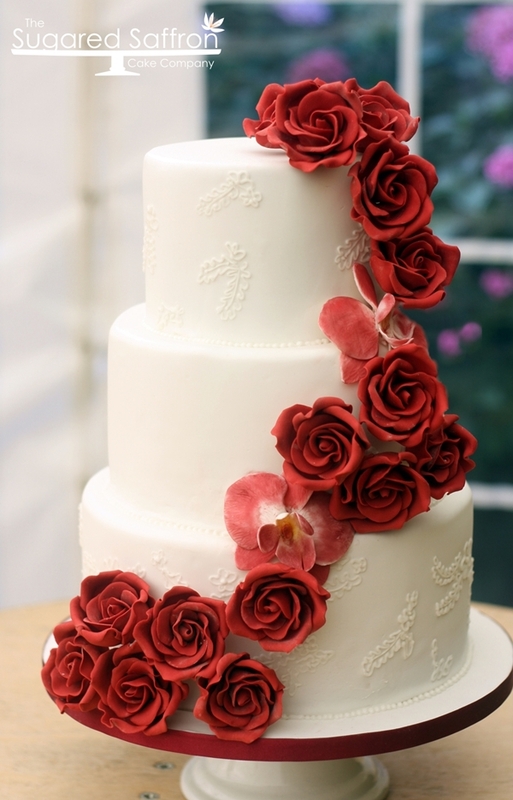 Your red cascade wedding cake is beautiful! You have created a great connection with the cake and the rest of the decoration. It’s art! The care for the particulars reveals the aesthetic sense of the atmosphere. Well done.